We help improve patient outcomes and achieve success in value based payment models. We help hospitals, healthcare systems, physician practices, health plans, and health organizations use data to improve outcomes and create a positive healthcare experience for staff, clinicians, and patients. The Splash healthcare analytics team has professional experience in predictive modeling, machine learning, artificial intelligence, clinical analytics and health records data management. We understand that every healthcare organization has its own data challenges and opportunities. We also know that those organizations are losing millions of dollars in revenue, lost appointments, and new patient opportunities. These companies could save money if their data was optimized and working at capacity. Splash works with you to develop solutions that are targeted and specific to your financial and clinical needs. Maximize clinical quality and revenue using analytics. Claims and EMR data provide a significant opportunity for all the players in the healthcare system – if those players can effectively utilize it. We have the knowledge, expertise, and experience to put you in the best position to care for your patients and ensure your clinic’s continuing financial health. Claims and EMR data are typically disorganized. Often, data is generated from several sources and comes in unusual formats. At Splash, we have many years of experience untangling this confusing web and providing products that create value for you. Whether it is through the use of machine learning and other predictive analytics in order to determine future risks, or providing web applications and dashboards to help visualize your patients’ experience, we are able to work with you to help you do the best job that you can for your patients and your clinic. Enhance clinical quality using data transparency. 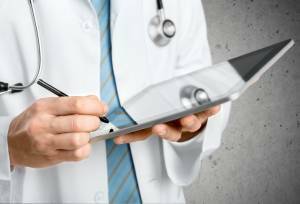 From Accountable Care Organizations (ACOs), to ambulatory surgical centers and health plans, clinical quality is being measured and incentivized. We build dashboards and reporting solutions for automating the measurement of clinical quality that focus on extracting actionable insights. 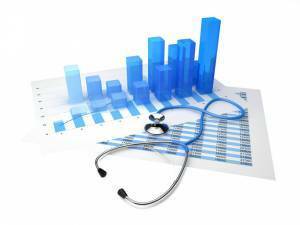 Improve patient outcomes with population health analytics. Every patient deserves personalized and tailored care. Population health analytics ensures the right care is delivered to the patients who need it, when they need it. We develop analytic tools that enable organizations to track patient chronic conditions, comorbidities, disease progression, adverse events, and pharmacy use. Reporting and analysis are just the first step. We work with organizations to develop and test evidence-based care strategies and protocols for moving the needle on population health.